This sensor replaces a standard light or fan single pole switch and is ideal for bedrooms and baths. Includes three interchangeable face plates. Load: Incandescent, LED, fluorescent, compact fluorescent (CFL), magnetic low-voltage (MLV) and electronic low-voltage (ELV), 1/6 hp. 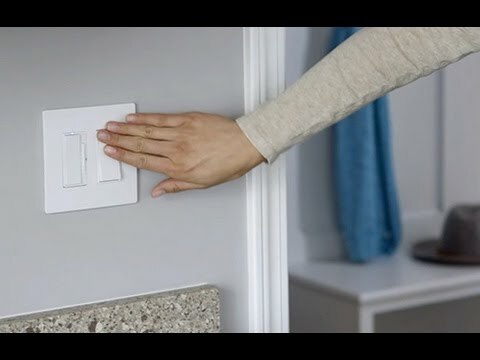 I lost my instruction sheet for the Radiant Motion Sensor light switch. How do I change the 30 second delay to 10 minutes? 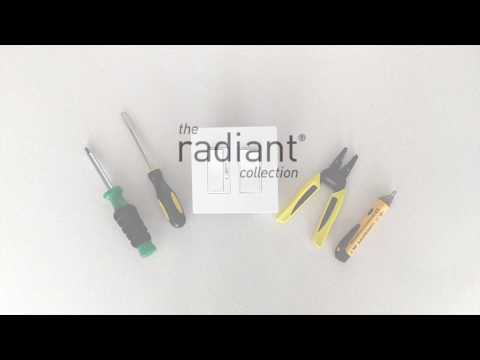 Here is the link to the complete instruction sheet for the Radiant Vacancy sensor(Model # RRW600VTC): https://www.legrand.us/-/media/brands/radiant/resources/installation-instructions/radiant%20120v%20single%20pole%20vacancy%20sensor.ashx See TABLE 1 for adjusting your time delay. Thank you for your question regarding the Radiant Manual ON Vacancy sensor(Model # RRW600VTC). This sensor does not have an over-ride that will disable the sensing feature. How do you program this switch to stay on longer,than 30'seconds? 30 minutes would be ideal.